Pursuant to yesterday's post about the Zohar, someone sent me a fascinating and important piece of information. Rav Ovadiah Yosef was asked about the status of the Darda'im - a Yemenite group which denies the authority of the Zohar - and whether they should be rated as heretics. Rav Ovadiah replied that since the Zohar was concealed for a long time, and the Darda'im raised many objections which, to their mind, showed it to contradict the Torah, one cannot rate them as heretics. לאחרונה יצא לאור הספר "מעיין אומר", שהוא שו"ת בקצרה שכתב משמשו של הגר"ע יוסף והאחראי על קבלת הקהל בימי שישי, הרב יהודה נקי. "לגבי הדרדעים, זכורני ששאלתי את מו"ר נר"ו [הגר"ע יוסף], איני זוכר בבירור אם היה לגבי צירוף למנין או לקנות ספרי תורה ומזוזות מסופר דרדעי, האם דינו ככופר בדבר אחד מהתורה, שפסול. ואמר לי מו"ר שקשה לומר כן, שהרי הזוהר היה גנוז שנים רבות, ואחר שנמצא הם מצאו בו כל מיני קושיות, שלדעתם, מראה סתירה לנאמר בתורה, ולכך אי אפשר לדונם ככופרים. וממילא מובן למה נזדעזע רבינו" [ כשמישהו אמר כשבית כנסת דרדעי יש להורסו כדין בנין עבודה זרה, ואמר "חס ושלום"]. I would imagine that the Chasam Sofer would have been even more accommodating towards them, but it is significant that even an anti-rationalist such as Rav Ovadiah is somewhat sympathetic and refuses to rate them as heretics. Incidentally, Dr. Marc Shapiro informed me that in the next issue of Milin Havivin he has an extensive article in Hebrew on "Is there a hiyyuv to believe Rashbi wrote the Zohar," quoting a wide variety of sources. Listen I have a lot of respect for Dr. Shapiro and his work, and I have no problem in principle with YCT or MH - but once, just once, I'd like to see a writer who I don't know where he's going to write, a journal where I don't know who's going to write in it, and an article where I can't deduce from journal, writer, or both what the conclusion is going to be once I know the title. 1. Supposedly, R O Yossef made R Yosef Kafah swear on a Torah that he wasn't a Darda'i before he promoted him the Beit Din Hagadol. 3. I think the main trend in R Yossef is his halachic tolerance. Unlike as it seems from his sometimes radical speeches, he is fairly tolerant to many views. Perhaps intolerance is a result of lack of knowledge. Bekius induces tolerance. R' Slifkin, in your post from September, rationalist-vs-mystical-judaism.html you distinguish between mystics and rationalists. However, you never defined what an anti-rationalist is. You wisely added "remember that these represent two ends of the spectrum, but there is a vast range of possibilities in between." By calling Rav Ovadya an anti-rationalist, I believe that you are, in effect, not including him in that "vast range of possibilities in between" but putting him at the extreme. No, I guess not. He's certainly far from as extreme as certain others that I can think of. KoillelNick, concerning R' Yosef and R' Kafah alleged "swearing incident", can you do any better than "supposedly"? There are two extreme ways to read this. 1. R. Yossef thinks that the zohar is not so important, and there is nothing wrong with rejecting it. 2. R. Yossef thinks that Darda'i fall into the category of tinok shenishbah on this issue, and therefore are not heretics. But someone who grew up in a different environment would be. Personally, it sounds to me like his position is closer to 2, then it is to 1. How could one have a justifiable sevora to label one as a heretic for not beleiving that the Zohar was authored by the Rashbi even if one holds it o be true? On what grounds? 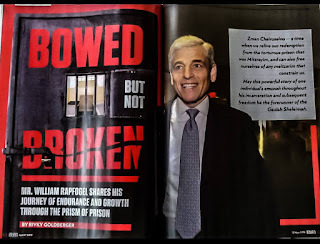 DOubting the words of chazal? The Zohar does no have an unbroken chain in our mesorah like let's say the Talmud. >There are two extreme ways to read this. What about a non extreme ways? Try this on for size, the actual position he is reported to take: "The Zohar was hidden for many years, and after they found it all sorts of questions were raised. In their view, it contains contradictions with the Torah. Therefore we can't judge them koferim, and we can understand their leaders outrage at the Zohar." In other words, they takka have a point - from their perspective. This is not saying "poor fools." It's saying, given the history of the Zohar you can't say that a doubter who sees it as contradicting Judaism is a heretic. Also I'd note that he was appointed to the high court in 1970, 3 years before R Ovadia became chief rabbi. And although R Ovadia had a vote and had influence within the voting body, he was not yet chief rabbi. I can confirm that almost every year since Rav Kafah passed away, R Yossef has given a shiur in his memory. Fascinating. I am impressed with Rabbi Yosef's quite reasonable response. I think this highlights also the great distinction which many of the not-so-learned and lesser rebbeim fail to make. For some rebbeim, kiruv professionals, and others, every single thing in rabbinic Judaism is equated with the authority of the Talmud. As if everything is under the general branch of Torah she Baal peh and as if the chasimat hashas was not a significant or unique event. We see here the great distinction playing itself out in halacha lmaaseh. The Chasimat haShas (and it's long development beforehand) was a great watershed event which set the boundaries and established the baseline of 'orthodox' Judaism in the post-exile/post-Sanhedrin environment. Surely, the delay in "revealing" and/or developing the Talmudic corpus (and later text) does not/did not excuse or justify the Karaim. Contrast this with Rabbi Yosef's ready lenience with the Dar Daim. Yet there are some who would surely try to equate Dar Daim with lehavdil, karaim, because they don't accept a book many consider a major part of "the mesorah." Or one who has this variable custom or doesn't do this or that, etc. Clearly the underpinning of rabbinic Judaism and the entire halachic system is the Talmud. Not the zohar or any other philosophical/mystical/hashkafic text. I think (and I'm certainly no expert) that underlies Rabbi Yosef's position, and understanding that point probably makes his an inescapable conclusion.
" There are two extreme ways to read this. 2. R. Yossef thinks that Darda'i fall into the category of tinok shenishbah on this issue, and therefore are not heretics. But someone who grew up in a different environment would be." And then you chose #2 over #1. But Rav Yosef didn't say either of those 2 things. I think you are misinterpreting it and changing the entirety of what he actually said. "What about a non extreme ways?" Your understanding is closer to 1, not closer to 2. I read what he is writing differently than you. If you remove "zohar" and replace it with anything else, the logic does not fit other positions of his. For example, a married woman covering her hair. Nor would you find such logic compelling if he wrote about the documentary hypothesis, and said that for the past 200 years there has been evidence that the Torah was not written by moshe, and we can understand why they would feel that way. If you read his statements more like option 2, then the logic is consistent. What's the bit at the end- that there are so many girsaot, we can't be sure they don't have a point? That's pretty bad even for those who believe in it. Jon, you'd be surprised. Knowing his style, I wouldn't be surprised if Dr. Shapiro said that, yes, there is such a chiyuv, not that we should listen to it. your thinking about this case has become very uptight. RO would never allow a Jew to have an opinion that violates a halacha. The two examples you bring clearly violate known halachot. But the Zohar was hidden at the time when haacha was being created (the mishna/talmud period) Therefore it can't be required to believe in the Holiness of the Zohar. RO can have no doubt to the actual Holiness of the Zohar and still allow a person to have the opposite opinion as he, because it's no in violation of any halacha. Doesn't that make sense? "But Rav Yosef didn't say either of those 2 things. I think you are misinterpreting it and changing the entirety of what he actually said." Obviously he didn't write either of those 2 positions. I wrote that his statement was -closer- to option 2, not that it was option 2. Imagine someone writing that they don't trust the talmud because in some places it contradicts the torah and it wasn't written for a long time after the second temple. I once came across a link to a 78 page work on Zohar and Kabbalah. This is not the 40 page link R' Slifkin posted. Obviously he didn't write either of those 2 positions. I wrote that his statement was -closer- to option 2, not that it was option 2." Your 2 formulations are inaccurate misinterpretations and distortions of the point, so why is it relevant which of the two is "closer" to what he actually said?
" Imagine someone writing that they don't trust the talmud because in some places it contradicts the torah and it wasn't written for a long time after the second temple. If R. Avadya yosef said that such a person was not a heretic using the same language here, how would you understand that? (in regards to the question of the Messora's authenticity)"
I don't believe there is a basis to say that, nor would he. You just invented that quotation and made it a conditional. Why are you equating the Talmud with the Zohar? I think that is your underlying mistake. You seemingly can't separate any aspect of Rabbinic Judaism as having distinction from any other. You really think Rabbi Ovadia Yosef would ever say such a thing about Karaites?! There's no way. And it was exactly that point which I commented on above. Please read my comment above, not just the one I wrote in response to you. "Why are you equating the Talmud with the Zohar?" I would appreciate if you read what I wrote instead of reading what you think I wrote. I was making an analogy in an attempt to clarify my point. "Logic . a form of reasoning in which one thing is inferred to be similar to another thing in a certain respect, on the basis of the known similarity between the things in other respects." By no means am I equating the two things as being the same. I am mealy pointing out, that the statements can be read based on two different perspectives. I'm not quite sure why people are taking my fictional extreme viewpoints as representative of my opinion, or my reading. There is an interesting source regarding both the practical authority of the Zohar as well as its supposed authorship. This is regarding whether one is permitted to benefit from גיד הנשה. The R. Yoseph Karo in the Bet Yosef rules that it is permissible, but says that it is appropriate to abstain because the Zohar implies that it is prohibited. 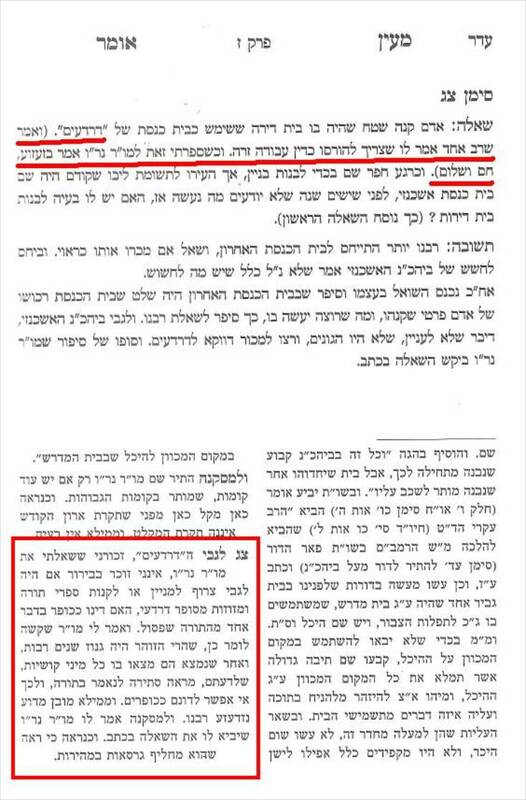 R. Moshe Isserles in the Darchei Moshe, writes that he doesn't understand this, because he "heard" that the Zohar was authored by R. Shimon Ben Yochai the same as R. Shimon in the Mishna. We already know from the Talmud that R. Shimon prohibits benefiting from גיד הנשה, and we rule otherwise because R. Yehuda argues. When there is a dispute between R. Yehuda and R. Shimon the Halacha follows R. Yehuda. First of all you see that Rema does not consider R. Shimon's authorship of the Zohar to be absolute fact and certainly not as an essential article of faith, but rather this is what he has heard. And even if it is from such an exalted source, nevertheless there is no reason to give more priority to R. Shimon's words in the Zohar then to his words in the Talmud. Bet Yoseph agrees that the Zohar does not supersede the Talmud's ruling, but sees it as preferable to be stringent according to the Zohar. על הסיפור שכביכול הושבע הרב קאפח לפני כניסתו לבית הדין על שאיננו מאמין בדברי סבו, אמר הרב יוסף קאפח כי לא היו הדברים מעולם. Me: "By calling Rav Ovadya an anti-rationalist, I believe that you are, in effect, not including him in that "vast range of possibilities in between" but putting him at the extreme. "No, I guess not. He's certainly far from as extreme as certain others that I can think of." Then would you like to pick a more appropriate adjective to describe R' Ovadya in your post? With all due respect to Rabbi Slifkin, Rav Ovadia Yosef is not an anti-rationalsit, whatever this may mean. In fact, he predominantly chooses Halacha over Kabbalah, one of the reasons why his book "Chazon Ovadia" was burned by the Jews of Iraq. He wouldn't condemn those who are rationalists, seeing as he has learned probably every writing that any of the Rishonim, ratonalist or mystic, have written. I read the 40 page essay about the Zohar. The author seems like someone who is genuinely after the truth. However, he seems to get caught up in the frenzy of his impassioned thesis, causing him to overlook many basic flaws in his arguments. However, I would love to contact the author as this is a topic close to my heart, and I would love to discuss it with an intelligent, truth loving individual, something that he seems to be. Is there any way to contact him?